Saying one last goodbye to your beloved animal companion - knowing that in reality, this can be the last great favour you do for them - is always better than letting them live in constant pain. Pet euthanasia can only be considered under the direst of circumstances of course. But after your animal family member has had their health examined by one of our knowledgeable Mobile Vets, you will know whether or not anything can be done for them. If there is no alternative to a life lived in suffering, putting a dog down or putting a cat to sleep is, in fact, a blessing. The procedure itself is entirely painless for them - especially as we come to your home in person so your pet has no need to exert themselves or get anxious. They can simply lie down in the place they feel most comfortable. You can be there to offer support with your presence. And they can be surrounded by all the sights and smells which make them feel most content. The process involves a simple injection which puts them into a state of unconsciousness. Only after this is the main anaesthetic applied - it is this which lets them drift away, so all they will feel is the smallest pinprick of the first injection. As pet owners and animal lovers ourselves, we understand that this can be an impossible, heartrending decision to have to make. If you need any further information about the process itself, the cost of putting a dog to sleep or cat euthanasia costs, or anything about how we work, please do get in touch with us. Most of our team members have lost animal members of their family themselves and all of them know someone who has. 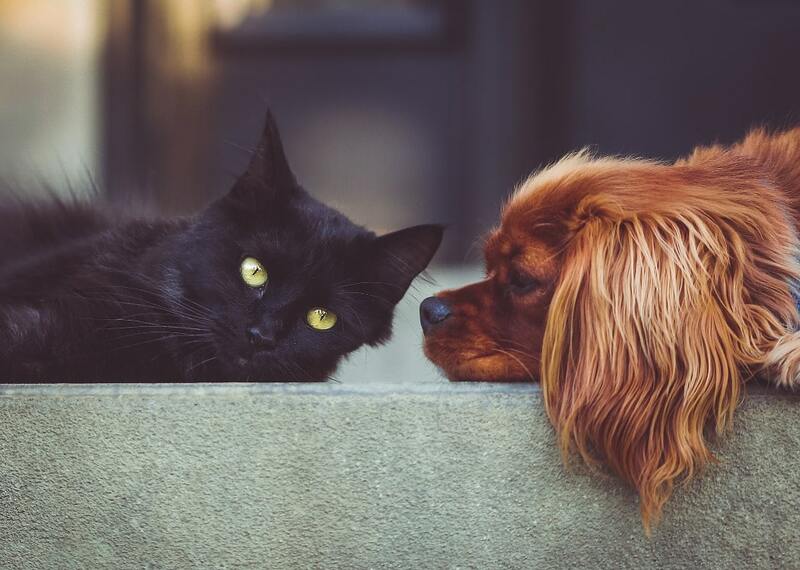 They understand that whether it is practical aspects such as dog euthanasia costs or other important questions regarding how to deal with grief or make the right decision for your pet, getting more information is always the best first step forward. Get effective pet pain relief starting with a full quality of life consultation to make sure your pet is not suffering needlessly. 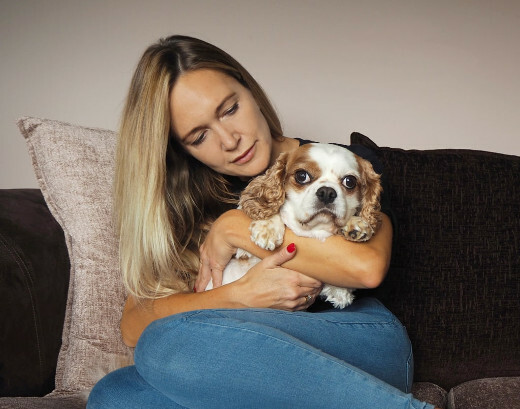 As well as medical treatments there are often simple changes which can be made to your pet's lifestyle, such as alterations in their diet or exercise regime, which can also assist them in living a life free from pain. This is important because animals of all kinds - especially cats - will naturally seek to minimise any signs that they are suffering. This is still the case even if it is extremely unlikely they will encounter any actual predators in your sitting room or garden! Ask one of our helpful Mobile Vets to visit you at your own home and you will not need to put your pet through the stress and additional pain of a trip in a container or vehicle as they are transported to your local veterinary centre. Plus, by examining them in their usual environment we can suggest any changes which might be beneficial there too. All of the pain relief for dogs and cats which we prescribe is done so only when needed. If you have any questions about the treatment itself or your pet's health your Vet will be able to answer them. They are universally animal lovers and pet owners themselves, so they will fully understand how important the health of your pet is to you. Talk to us about the pain relief for cats or dogs you have had prescribed by other professionals too. We can quickly assess if this prescription is correct before fulfilling it. Some people prefer for pet cremation to be a solo activity. Your dearly departed animal companion is transported with care from your home to our local pet chapel of rest. They are treated respectfully at all times. Afterwards, their ashes can be returned to you for spreading in a favoured spot. Other people choose group animal cremation for animal members of their family who have passed. This gives them the knowledge that their pet will not be undertaking their final journey alone and means they can have a ceremony for spreading the communal ashes in the pleasant grounds of our chapel itself. There is a second advantage to cat or dog cremation performed as part of a group, that of a reduced cost. Whether pet cremation cost is a concern or not, many people have preferences for other reasons. You can talk to our helpful support team whenever you feel up to having the conversation about what to do after your much-loved pet has passed on. All of the dog and cat cremation we help you with is performed at our fully accredited facility. We will be happy to show you around or answer any questions you might have at any time. Only you can truly know the depth of connection between yourself and the sadly departed animal members of your family. Other pet owners and animal lovers will have some idea though... So when it comes to pet memorials, we only allow pet owners on our team who have faced bereavement themselves to select items for the select range we have brought together. Choose headstones and marker stones, trays and urns for ashes and any other memorials for pets which you might have in mind. All of these high-quality items have been handpicked - hopefully saving you the need to put yourself through the task of physically going and actually looking round for what you need. If you have pictured something specific and cannot find it in our range, please do contact us so that we can point you in the right direction. The person you speak to when you call will be an animal lover like all of the Cloud9Vets team, so you will be in safe hands with them.